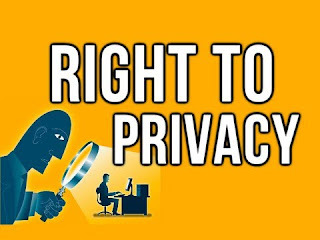 A nine-judge bench of the Supreme Court has ruled that Indians enjoy a fundamental right to privacy, that it is intrinsic to life and liberty and thus comes under Article 21 of the Indian constitution. The bench, led by Chief Justice J.S. Khehar, pronounced a unanimous judgement even if the judges had slightly different arguments as to how privacy is intrinsic to right to life and liberty. The bench comprised Chief Justice Khehar and Justices J. Chelameswar, S.A. Bobde, R.K. Agrawal, Rohinton Nariman, A.M. Sapre, D.Y. Chandrachud, Sanjay Kishan Kaul and S. Abdul Nazeer. 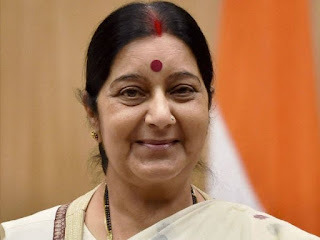 As a pilot project, four offices of MEA — Regional Passport Office, Protector of Emigrants office, Branch Secretariat and Regional Office of ICCR — have been assimilated and brought under one roof. The pilot project of the Videsh Bhavan of Mumbai is part of the Centre's policy to bring together different offices of the MEA under a single roof and work closely with states as more and more Indians are going abroad for employment, education, business and tourism. Currently, many of the 90-plus RPOs and PoEs function from rented offices and the implementation of Videsh Bhavans in different state capitals is expected to cut costs besides ensuring improving efficiency and hastening delivery of services. 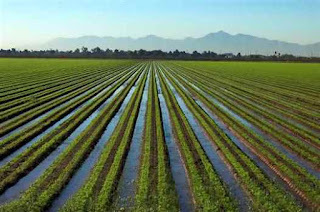 The Cabinet Committee on Economic Affairs (CCEA) today approved renaming the new central food processing scheme SAMPADABSE 4.95 % as Pradhan Mantri Kisan Sampada Yojana (PMKSY) with an aim to benefit 20 lakh farmers and generate 5.30 lakh jobs by 2020. The objective of the PMKSY is to supplement agriculture by promoting processing and reducing farm wastage. The PMKSY will promote setting up of food processing units to boost availability of processed food items in the domestic market and for export purpose. The scheme will encourage creation of modern infrastructure with efficient supply chain management from farm gate to retail outlet. The Ministry of Youth Affairs and Sports is going to establish National Sports Museum, first of its kind, at Jawaharlal Nehru Stadium, New Delhi. Museum will showcase India’s achievements in sports and also focus on the traditional sports within the country. 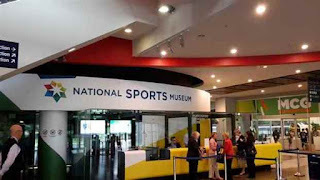 The aim of the Museum is to popularise the sports as a way of life within the country. Accordingly, the proposed Museum would go beyond the classical approach of a collection of memorabilia to become an interactive venue of interest for all age groups. In addition, Shri Goel said, it will display achievements of the Indian greats in sports and also act as an educational hub and offer opportunity for the young to delve into some sporting activity. 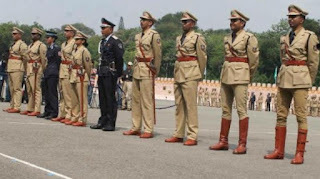 The new policy for cadre allocation has been finalised by the Central government for IAS, IPS and other officers, aimed at ensuring "national integration" in the country's top bureaucracy. Under the new policy, candidates appearing for the civil services examination-- conducted annually by the Union Public Service Commission -- will have to first give their choices in a descending order of preference from among the various zones. The International Military Music Festival "Spasskaya Tower" is the parade of the best military music bands of Russia and other countries that takes place every year at Red Square in Moscow. This Music Festival is a mega event, where military musicians represent the variety of national, artistic and military traditions of the world. Every year about 1500 musicians, military men and other artists from around 40 countries perform at the "Spasskaya Tower". The Festival is duly considered one of the largest international events in Russia and attracts tremendous response of the general public. A Tri-Services band from the Indian Armed Forces has also been invited to participate and perform in the prestigious event. 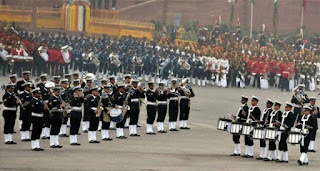 The participation of the Tri- Services Band would foster better ties between the Armed Forces of the two countries and is also a befitting acknowledgment of the professional skills of the Indian Armed Forces bands. The Tri- Services Band comprises 07 Officers and 55 PBORs. The Naval Band component comprising of 01 officer and 09 musician sailors is being led by Commander Satish K Champion, Command Musician Officer, Eastern Naval Command. Cristiano Ronaldo has won his third UEFA men's player of the year award in four seasons, beating Lionel Messi and Gianluigi Buffon to get the trophy. Ronaldo helped Real to a second consecutive Champions League title and finished as the tournament's top scorer with 12 goals last season. He has now won the award three times, one more than Messi. Martens guided the Dutch women's team to their first international title when they won the European championship this year. 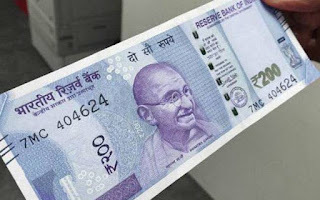 The Modi government today notified introduction of new Rs 200 notes, according to a notification in the Gazette of India. The printing process of the new currency is almost over and the Reserve Bank of India (RBI) is likely to circulate them any time now. This will be the first ever new note to be introduced by the RBI after the Rs 500 and Rs 2,000 notes introduced post the massive currency culling exercise in November last year. According to reports, Rs 200 notes will help bridge the gap between Rs 100 and Rs 500 notes and the RBI believes that they will become a 'very popular' denomination. Persian gulf carrier Qatar Airways on Tuesday entered into an interline partnership with Vistara, under which customers of the two carriers will have seamless travel to and from India to over 150 destinations. The title of Mr. India America 2017 was grabbed by Karan Malik from Virginia. 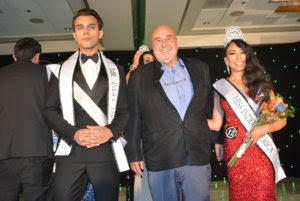 Other 2017 winners included: Jaskiran Waraich, Miss India Globe; Georgia’s Satrugna Chowdry, Mr. India Globe; Veena Gurbani of Michigan, Miss India Global; Ricky Prasad, Mr. India Galaxy; Anisha Gupta, Miss India Galaxy; Aditi Parikh, Miss India North America; and Navjot Kaur, Miss India California 2017. India LaRoda and Karan Malik also won JINmodels.com’s Mr. & Miss Photogenic 2017. Navjot Kaur and Arizona’s Nitish Singh were the winners of the People’s Choice Awards for 2017. Prof Behera is the Head of Department of Pulmonary Medicine in the Postgraduate Institute of Medical Education and Research (PGIMER) in Chandigarh. 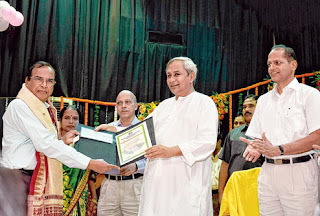 Prof Prasanta Mohapatra of the Department of Computer Science in the University of California was bestowed with the Biju Patnaik award for 2015. The first of its kind award in the field of science was instituted by the State Government’s Department of Science and Technology. The award comprises a cash prize of Rs 2 lakh, a citation, memento, certificate, shawl and silver medal. The Samanta Chandra Sekhar Award for 2016 was given to Prof. Swapna Mahapatra, Prof. Banshidhar Majhi and Prof. Sukumar Mishra; the award for 2015 went to Dr Sharat Kumar Pradhan, Prof. Sarat Kumar Swain and Prof. Bhishma Kumar Patel. The Samanta Chandra Sekhar award, named after the renowned Odia astronomer, is given for excellent research contribution in the field of science and technology during the five years preceding the year of award. Every year, the Odisha Bigyan Academy (OBA) felicitates Odia scientists who have made major contributions in the field of Science and Technology. 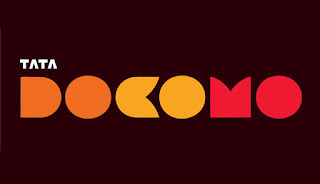 Tata Docomo was given the award for the best service provider in north India for its public Wi-Fi services by DigiAnalysis. It was also given an award for the best Wi-Fi roaming services provider for its roaming services, which it offers in partnership with iPass and Boingo. 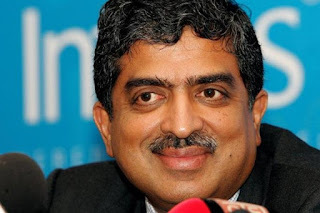 Nilekani is a co-founder of Infosys and served as its CEO from March 2002 to April 2007. He left the company in 2009 to head the Unique Identification Authority of India (UIDAI), the Aadhaar authority. Sixty-two-year-old Nilekani held the role until 2014, before resigning to unsuccessfully contest Lok Sabha elections on a Congress ticket from Bengaluru (South). Raghuram Rajan explains economic concepts and talks of issues like tolerance and connection between political freedom and prosperity in his new book — I Do What I Do: On Reform, Rhetoric & Resolve — which is a collection of essays and speeches during his stint as RBI head. 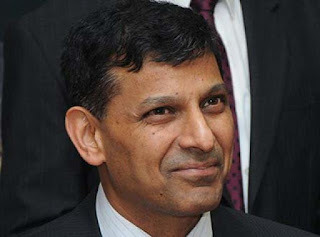 When Rajan took charge as RBI Governor in September 2013, the rupee was in free fall, inflation was high and exchange reserves were falling.